A scheduled maintenance program ensures the generator system is always in top operating condition and warranty requirements are being met. Generac's scheduled maintenance kits provide all the hardware necessary to perform complete routine maintenance on a Generac automatic standby generator. Maintenance is recommended at every 200 hours or 2 years. If running in a dusty environment, more frequent maintenance may be required. The FIRMAN Parallel Kit double or even triples your power by connecting two FIRMAN Inverter generators together. It can combine any two Inverters from our FIRMAN Inverter family, whether that be our smaller 2100 Watts to our larger 3300 watt generators. Integrated outlet covers come standard on our parallel kit to protect the outlets from dust and debris. We've also included a LED light under each outlet for improved visibility anytime. Off-grid energy systems continue to grow in size and capacity. It is becoming more common to have a 240-Volt instead of 120-Volt only. This conversion kit allows the EcoGen generator to be converted easily from a 120-Volt system to a 240-Volt system and still maintain a full 6kW output. 7,000W 410cc Air-Cooled Generator Scheduled Maintenance Kit A scheduled maintenance program ensures the generator system is always in top operating condition and warranty requirements are being met. 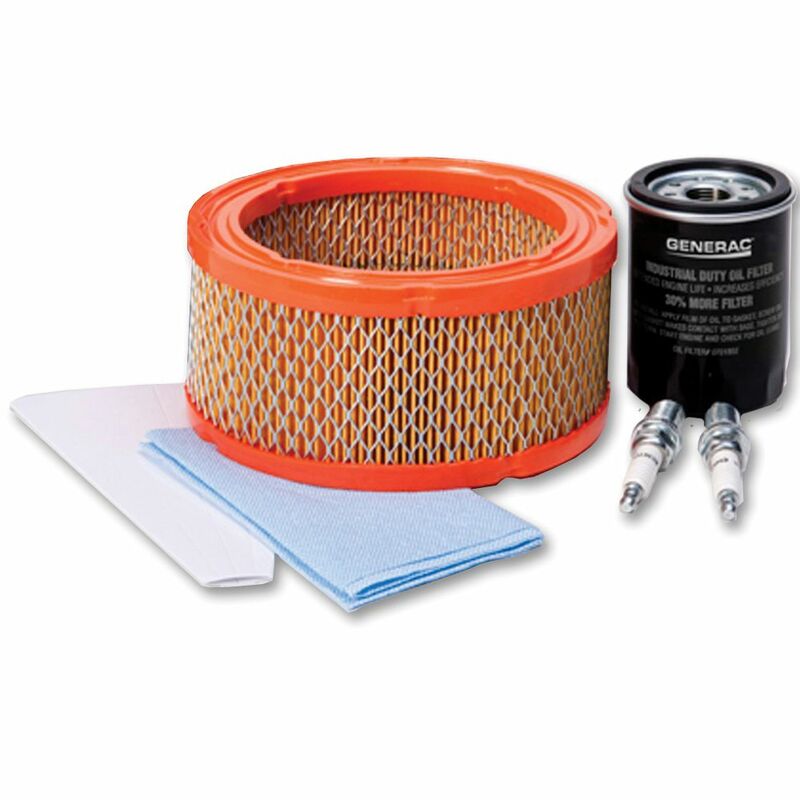 Generac's scheduled maintenance kits provide all the hardware necessary to perform complete routine maintenance on a Generac automatic standby generator. Maintenance is recommended at every 200 hours or 2 years. If running in a dusty environment, more frequent maintenance may be required. 7,000W 410cc Air-Cooled Generator Scheduled Maintenance Kit is rated 3.6 out of 5 by 5. Rated 3 out of 5 by SaTam from Confusing product details It is a kit with multiple items. One of the items, air filter turned out to be wrong, but could not be returned since other items in the kit were used. Now need to purchase the right filer. I think it is not Home Depot issue, but Generac - I wish they standardized their parts, and not have so many variations for a simple thing like air filter. Rated 5 out of 5 by Bradb from Exactly what was required. Exact parts for my generator, great price, and quick deliver. What else could you want? Rated 5 out of 5 by brad from Best price anywhere! Chepaest anywhere online or in store, delivered to my door! Can't beat it. Worked perfect for my 7kw Standby Generator.